This was an impromptu weekend trip – well, as impromptu as you can get considering that it’s a 7 hour drive with a border crossing. We were already booked to backpack the northern part of the park in a few weeks’ time, but this trip solved two problems – a way to alleviate some Facebook jealousy and to knock off the Traveler Loop so we didn’t have to worry about the weather cooperating for us to fit it in on the longer trip. 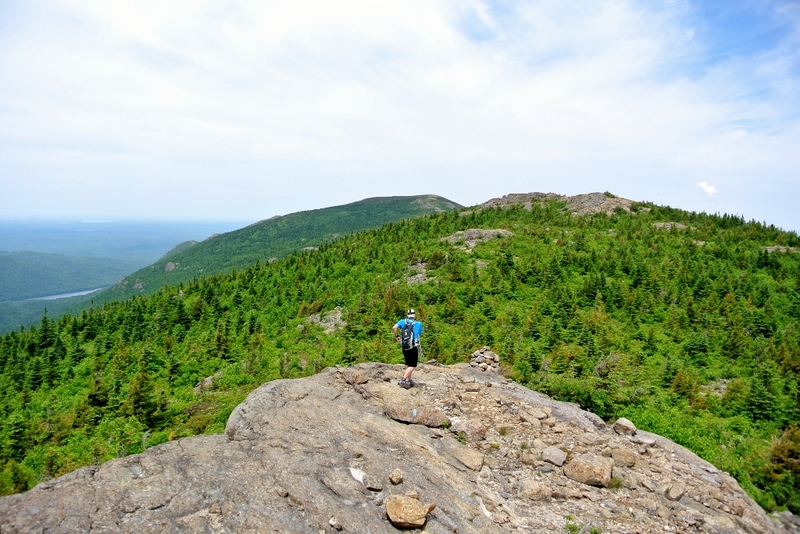 The Facebook jealousy started when Wade saw pictures from some fellow Nova Scotians (thanks Scotian Hiker!) 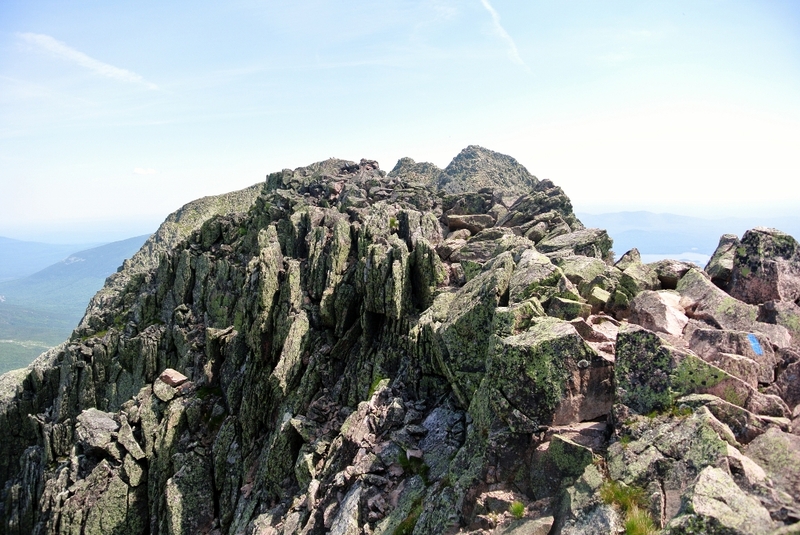 who visited Baxter Peak the week before. 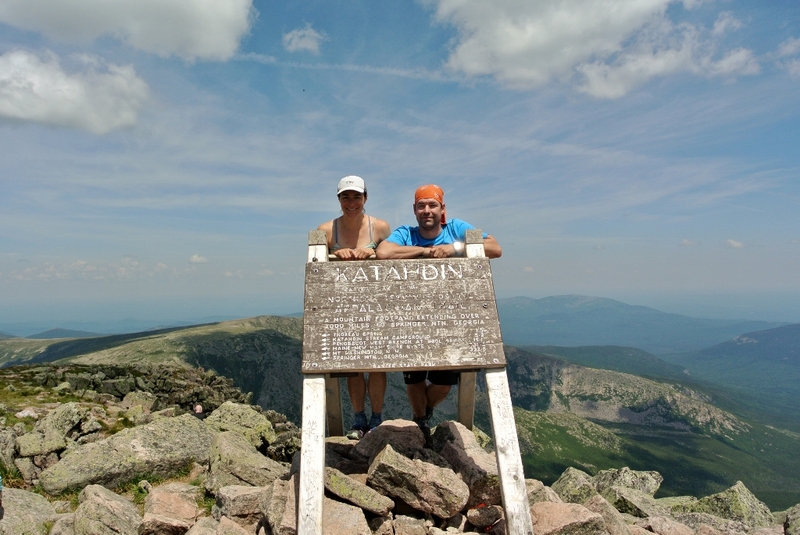 We had backpacked Mount Katahdin in 2013 and were planning to do it again from the Roaring Brook side, but not in 2014 and definitely never on a busy weekend or in the middle of the summer heat… until that moment. 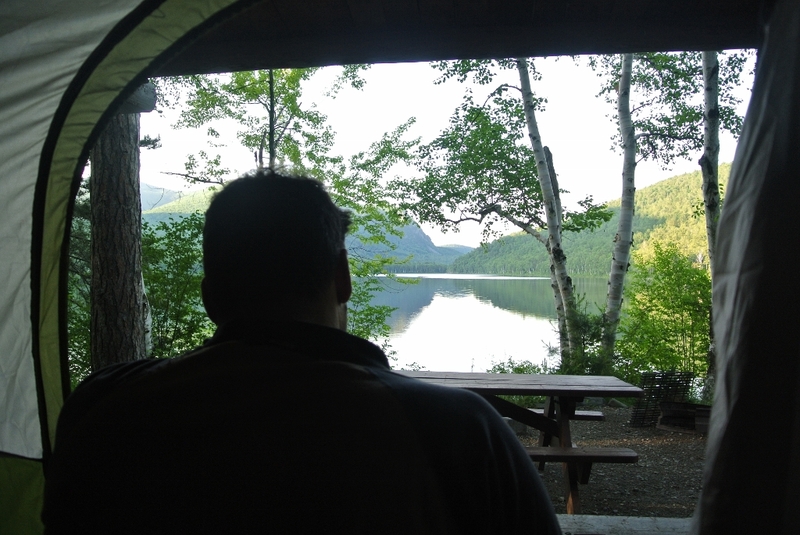 Wade jumped online to scour campground availability. Roaring Brook was fully booked, but he came up with a creative plan that seemed like it would give us a reasonable chance of success. We would drive to the North Gate Friday evening and stay at South Branch Pond campground. 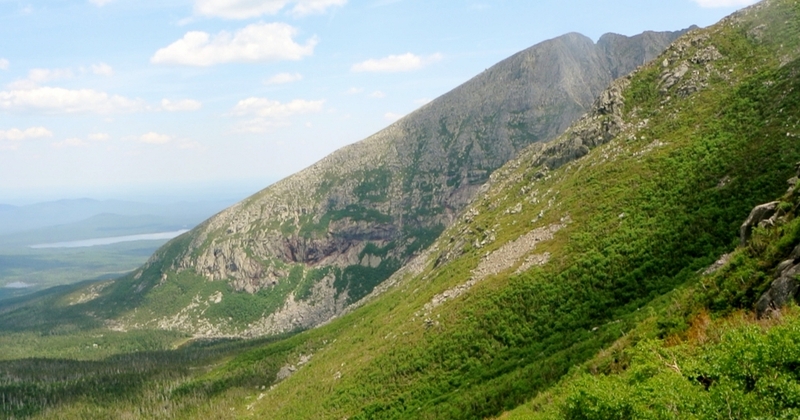 Weather pending, we’d hike the Traveler Loop Saturday then drive through the park to spend the night at Katahdin Stream campground. 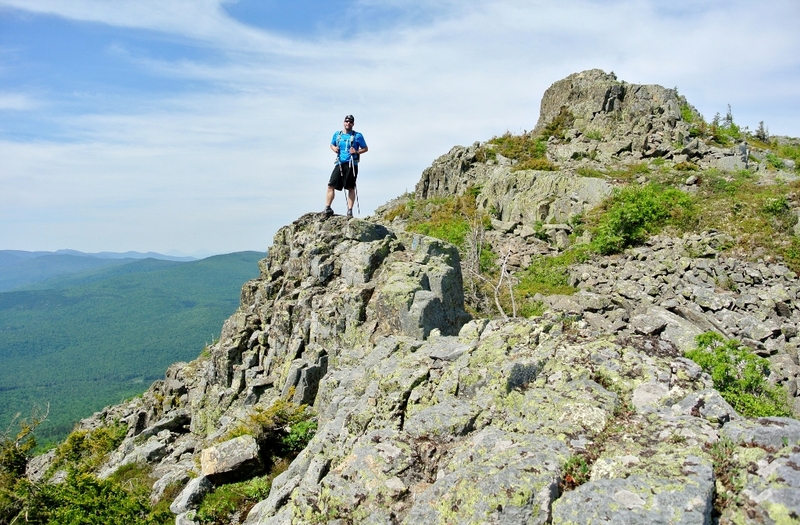 Sunday we’d get up early enough to get “around the bend” before 7am to secure parking at Roaring Brook. Sunday night we’d leave through the South gate. We wanted to simplify the camping part as much as possible, so we decided to bring a small dome tent to put inside the lean-to. The tent sets up in minutes. Our plan was to just pull the two poles out Saturday morning and “fold” the tent with sleeping gear inside and stuff it in the backseat for the day on Saturday. With the rough plan hatched, we turned to making a food plan and printing trail descriptions and maps. Everything quickly fell into place. We drove to Maine Friday afternoon and made it into the park in the early evening without any major problems. This was our first time driving to the North Gate, and the roads and crossroads are not well marked. We went the right way, though we were never quite certain until we saw the park sign. We checked in at the gate and headed toward South Branch Campground. When we arrived, the ranger was busy giving another group an orientation to the campground. He’d watched us tracing our route over the 3-d model of the Traveler Loop while he was speaking to the other campers (these models are located in many of the ranger cabins, and they are a fantastic resource to help you understand exactly what kind of journey lies ahead – if you have the chance, budget some time to check them out before beginning your climb). He initially seemed a bit hesitant about our plan, but after we explained our previous experience in the park he was more than helpful. The flies in the campground were pretty bad, but it was summer in northern Maine, so we couldn’t really complain. We did the final trip preparations and then jumped into the tent, trying to get some sleep ahead of what was going to be a long hot humid hike followed by a long drive on Saturday. We had a great view of South Branch Pond from the lean-to, and we could also see the beginning of our climb off to the left. The morning was uneventful as we quickly packed up the site and moved the car to the parking lot prior to beginning the hike. 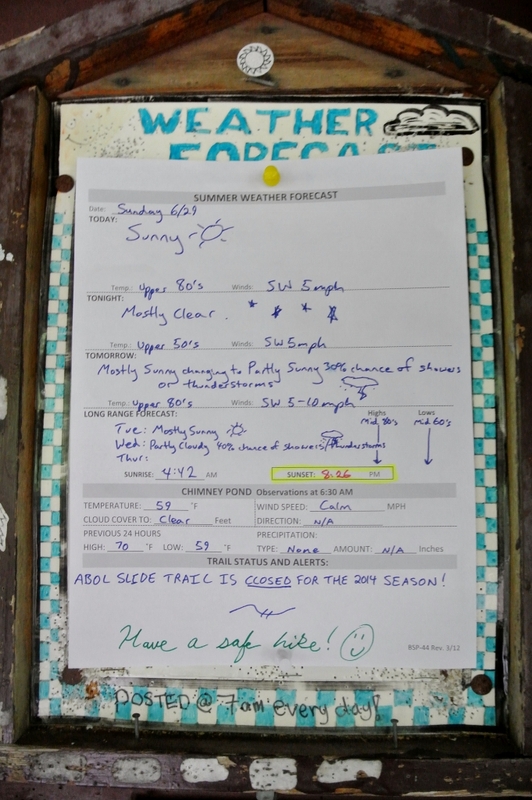 We signed the trail log at 7:10am, pretty much right on schedule. 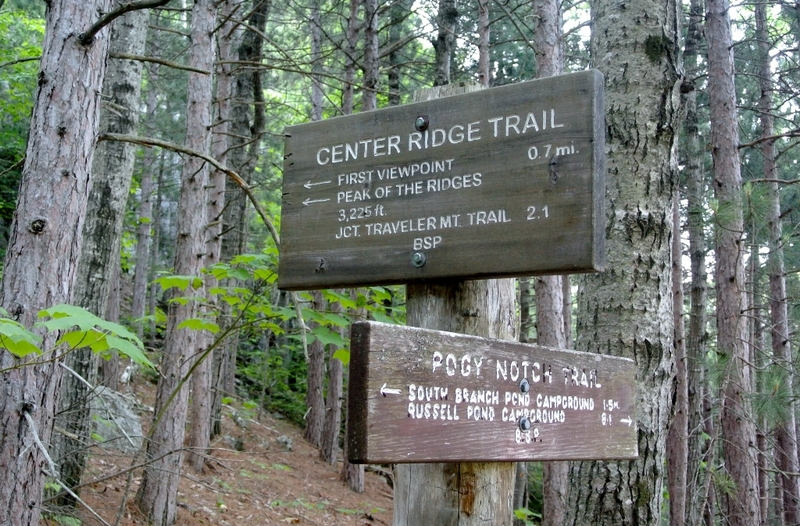 The trails are very well marked heading out of South Branch Pond campground. We knew it was going to be a hot day, but 20ºC at 8:30am? Glad we’d brought plenty of water, as the only water source was 15km into the hike. The climb starts steep, but very soon you are rewarded with some great views, including back down to where the campground is located. The views were stunning in all directions. Leaving Peak of the Ridges and heading toward the Traveler. 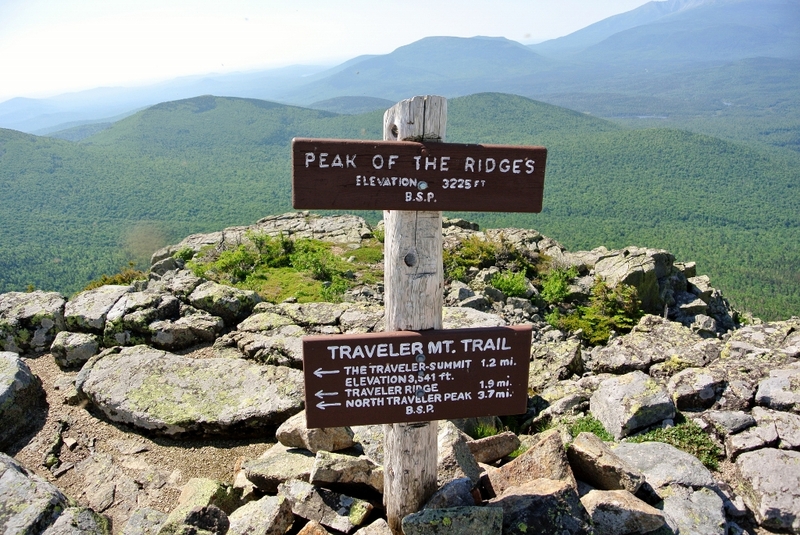 We’ve seen bad flies before, and even had discussions with Rangers about the fact that they can often be worse on the top of the peaks, but these were just about as bad as we’ve seen. As quick as you wiped them off, they were back. As always, the photo never does it justice. We would stir them out of the brush as we walked and in places the air was almost thick with swarms. I think almost all of the “stopping time” on our GPS was prior to this point, and our moving pace picked up too. If not for the flies we’d likely have spent a leisurely few hours enjoying the views and taking pictures. Pausing for a brief moment at the Traveler sign, elevation 3541ft. There is more distance and greatly varied terrain heading toward the North Traveler. The approach to the top of the steep descent was suddenly green. 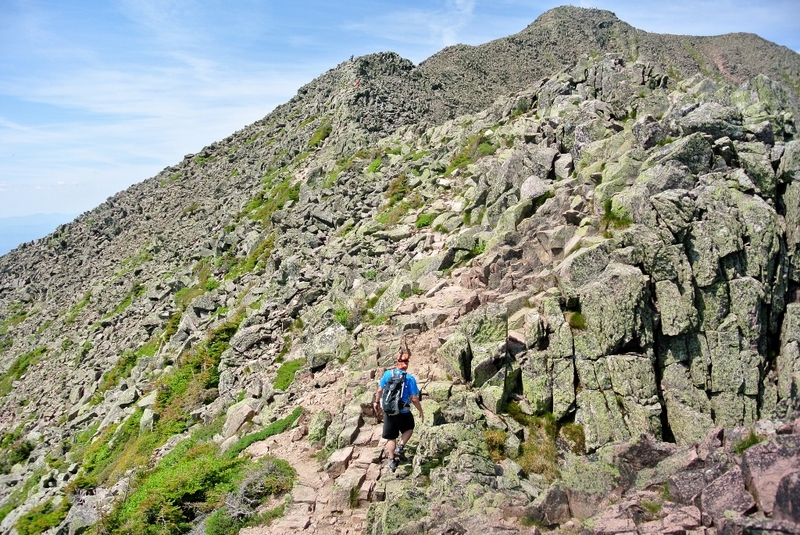 This was nothing like we’d imagined when we heard about the 5 miles of above tree line hiking on the Traveler. 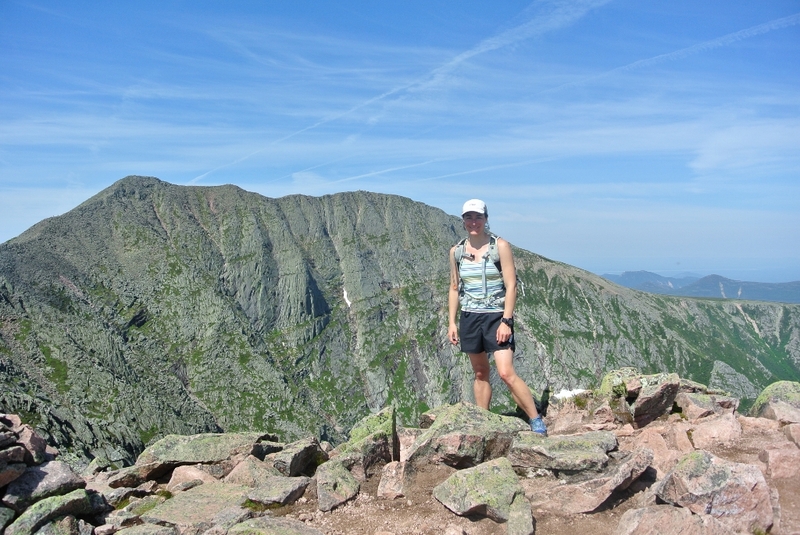 We’d been picturing what it was like above the tree line on Katahdin, but this was totally different. 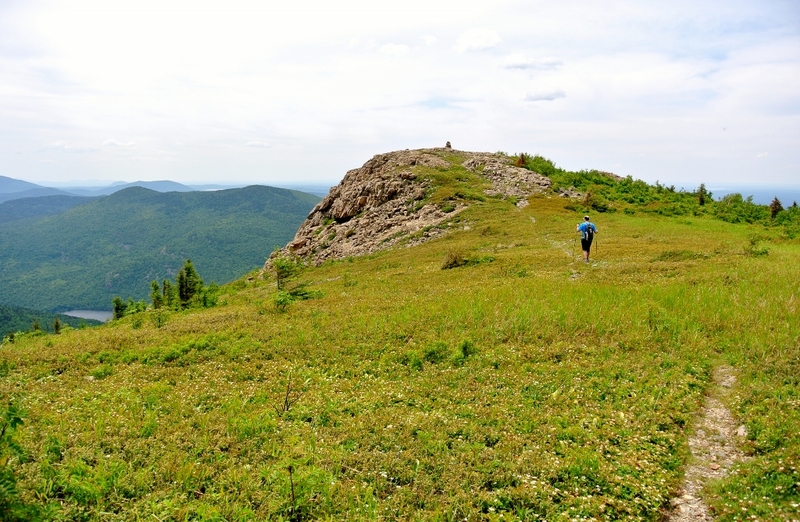 There was a lot of great rock scrambling but there were also miles of low vegetation and ground cover. 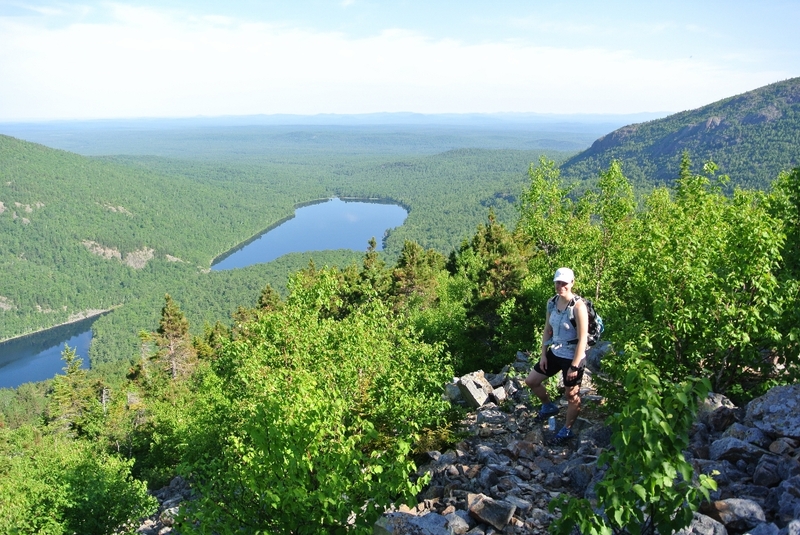 From here it’s a steep descent and short walk back to South Branch Pond campground. Our one “fail” of the day was finding water at the “spring” on our way down. The guide book mentions a short side trail to the spring, but we were not able to find it. Luckily for us we were on our way down, unlike the group we passed on their way up. They decided to keep going anyway. Back at South Branch, the ranger said you’d need to know where you were looking to actually find the spring. 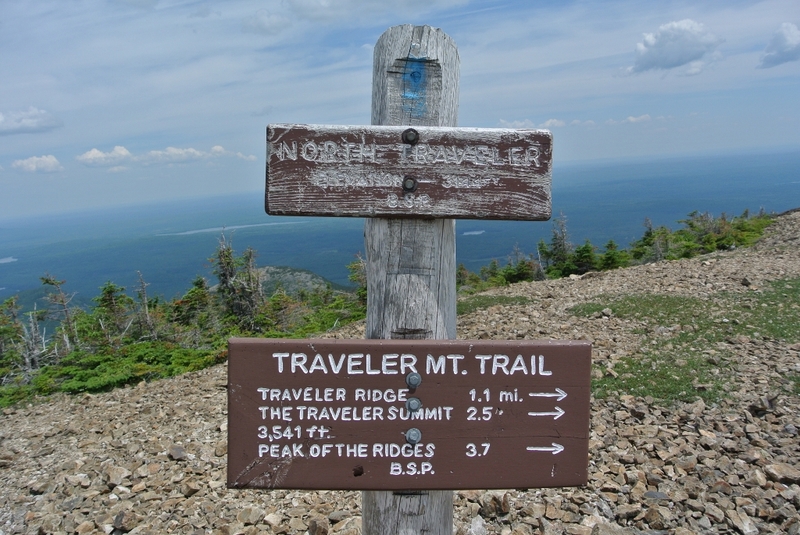 We followed the guide book recommendation to hike the Traveler Loop in a counter-clockwise direction. 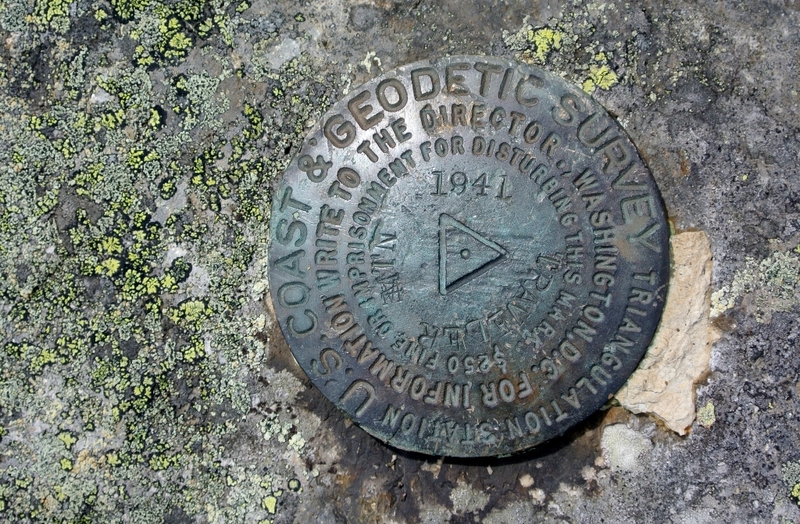 The recommendation seemed to be mostly based on avoiding descending over loose rock on Center Ridge trail. After doing the loop, we’re not convinced that we would’ve been any worse for the wear going the other way. There is loose rock on Center Ridge and it would be a challenging descent, but there were loose and slippery sections coming down from North Traveler too. 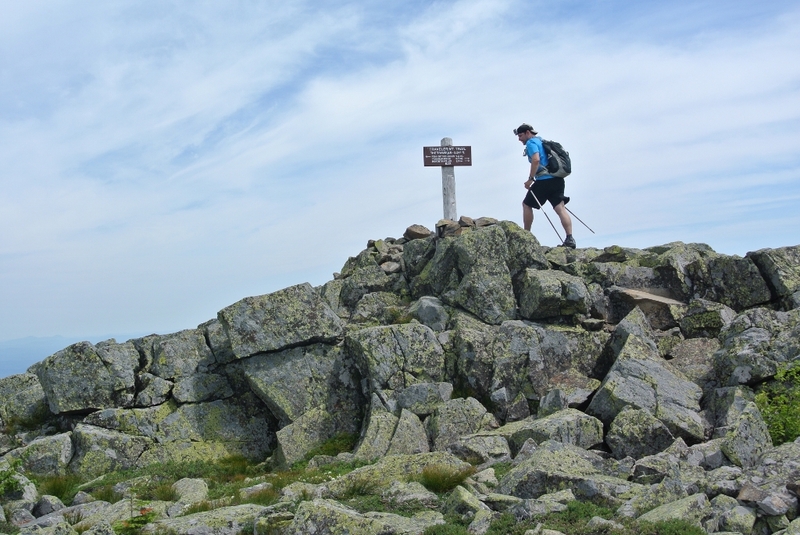 We mention this because the counter-clockwise recommendation had been throwing a wrench in our plans to try to include Traveler Loop in a backpack from South Branch to Katahdin Stream campground. We made it back to the car in pretty good spirits at 2:30pm and took time to clean off and then take a dip in South Branch Pond before heading out on the drive to Katahdin Stream campground. It was interesting – we thought the car camping would be easy, but car camping in Baxter still means no running water and having to store and pack out your garbage. We had a quick easy supper and fell asleep shortly after. The morning was easy again, as we just threw the camping gear in the car and ate breakfast on the drive around to Russell Pond. The forecast was for another hot sunny day. 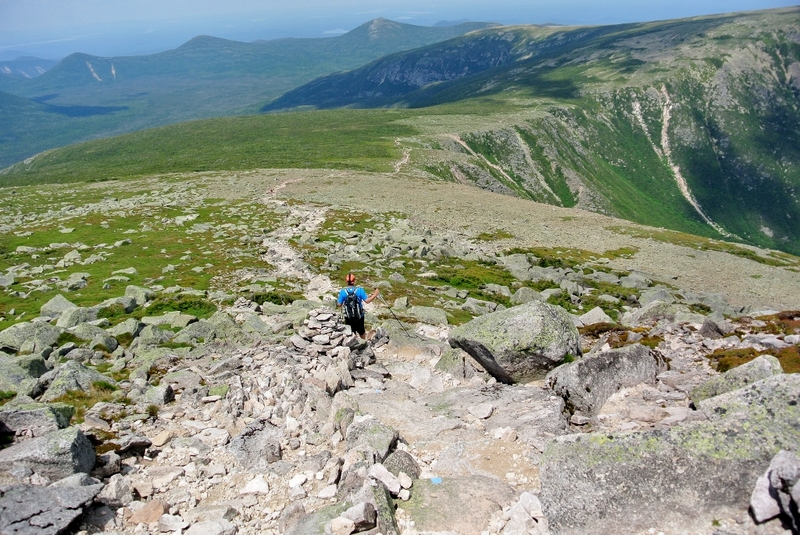 We arrived around 7am and the parking lot was already filling quickly, including a group of kids that we saw again at Baxter Peak. Turns out that they were a ski team from Fredericton on a summer adventure. Those relaxing first few steps before you begin the climb. Well it was certainly easier than Abol! We couldn’t hear the rest of their conversation as they faded into the distance. 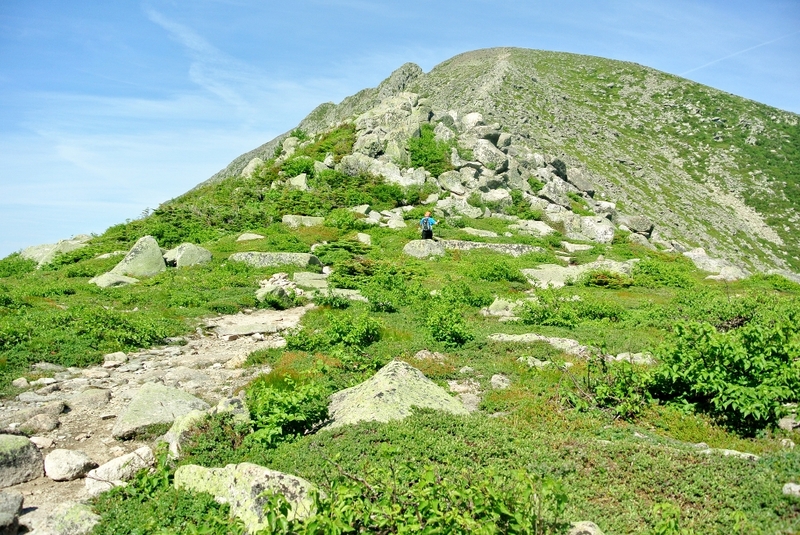 The trail gets rugged passing over Chimney Peak. Starting out across the Knife Edge. 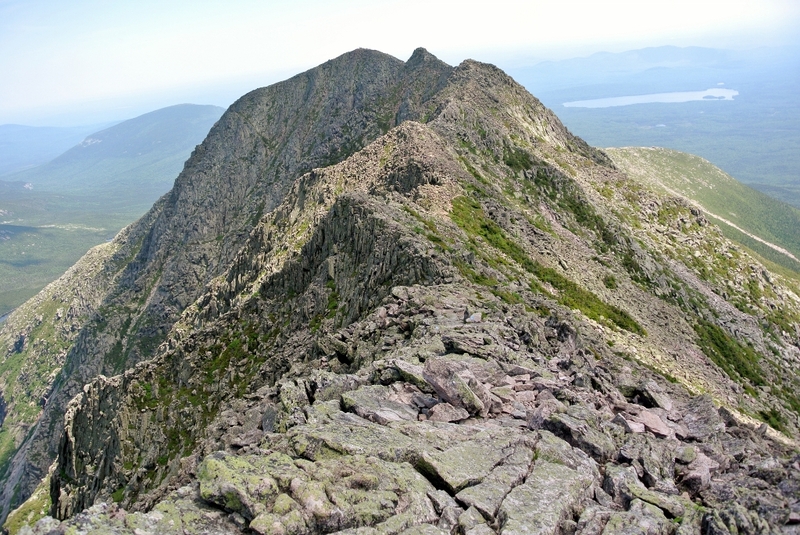 Looking back at the Knife Edge from Baxter Peak. 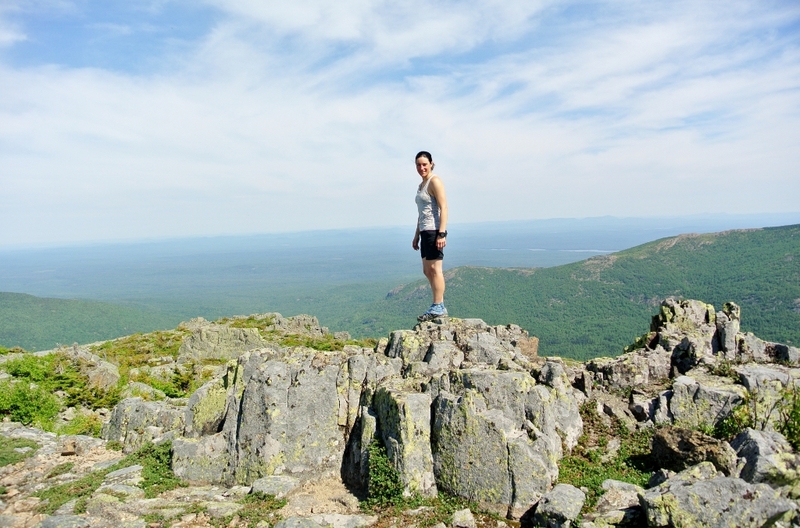 Baxter Peak for the second time. 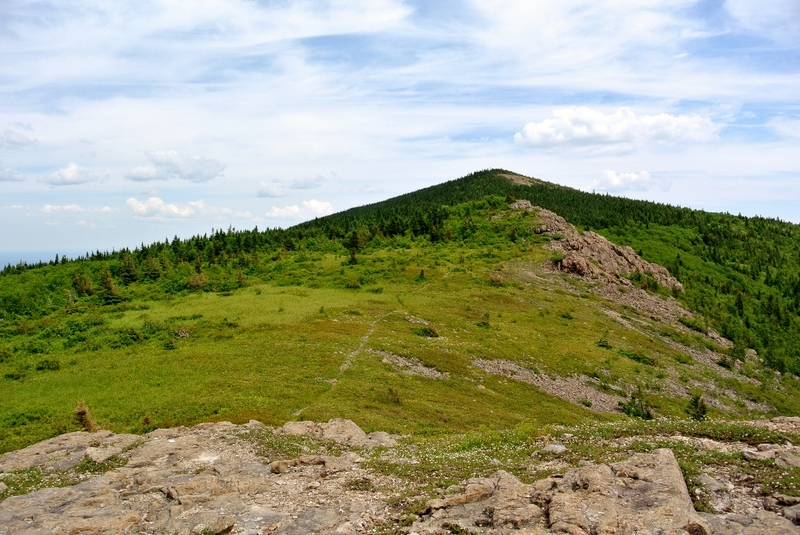 Although the photo doesn’t show it there were dozens of hikers taking a break up on top, including quite a few other Maritimers one of whom we recognized from the 9 Toe Adventure Race the previous winter. We had lunch and sat for close to an hour chatting. The sun and heat was in stark contrast to our last trip along the tablelands in wind, rain and fog. That’s Dudley trail stretching down from Pamola Peak in the distance. 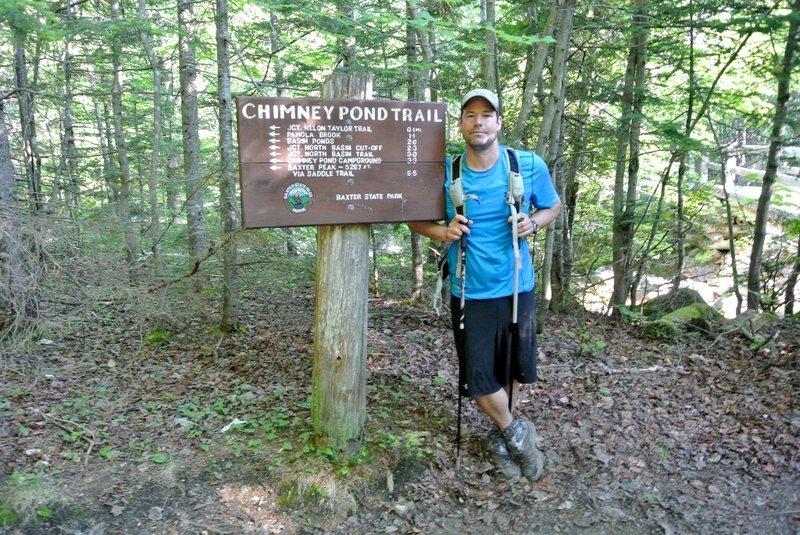 And we made it back to Chimney Pond! Again, snow is visible on the back side of the mountain. Our only wildlife sighting of the day was this curious deer munching on greenery at the Russell Pond parking lot. The main high was just being able to get reservations and actually being able to pull this trip off at the last minute. We were lucky to have spectacular views both days. Swimming in South Branch Pond with its easy entry across a pebble beach was an amazing bonus. The only low was the horrendous flies which shortened our day on the Traveler Loop.